Perhaps it's my short attention span, or maybe my preference for "More is more" but I am a big fan of alternating narratives. The romantic in me especially swoons when I see a relationship grow through both perspectives (especially when they start out hating each other). The psychology-background in me loves seeing how differently two people can view the same situation. Either way, I'm a sucker for alternating perspectives. Added bonus: If you can squeeze in any of these by the end of the month you can use it to enter the All Male Review challenge hosted by Missie from The Unread Reader and Logan E. Turner! I LOVE this book. The alternating perspectives here is a little unconventional. One side of the narration is told by Hannah through audiotapes she recorded before she killed herself. The other side follows Clay as he listens to those tapes after Hannah has already died. Hannah slowly reveals why she killed herself, and her reasons are as surprising as they are polarizing. This has proven to be a controversial book, but for me it was touching and heartbreaking. Clay's frustration at not being able to affect Hannah's decision mirrored my own as a reader. Regardless of what you personally feel about Hannah's actions, the narrative choice is executed perfectly and allows the author to tell a story that could not have been accomplished as well with a different narrative choice. Bryce hates Juli from the moment he meets her. Juli loves Bryce from the instant she sets eyes on him. Of course this is when they're both in elementary school. As the years go by, Bryce slowly begins to see something in Juli he hadn't seen before...and Juli starts to realize that maybe Bryce isn't as great as she had thought. An amusing spin on love/hate relationships, Flipped is filled with scenes that underscore how important perspective can be. Instead of the story moving in a completely linear direction, Wendelin writes each scene first through the eyes of one character and then rewinds things to show how the same scene played out in the other character's perspective. That might seem boring and repetitive, but it truly isn't. It's fascinating. And bawl-your-eyes-out heartbreaking. And adorably perfect. Ultimately, Wendelin shows how the way we see ourselves is not necessarily the way others see us...for better or worse. Viola is the lucky recepient of three wishes, doled out by an exasperated genie named Jinn...who also happens to be pretty cute. 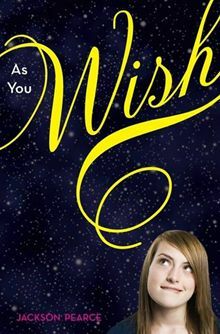 Viola's sections let the reader connect with her as she struggles to make the perfect wishes that will bring her happiness. Meanwhile Jinn's chapters show him starting out frustrated and just wanting to get home, but slowly coming around to care for Viola. This book is mostly about Viola gaining confidence in herself, but Jinn's perspective adds that super-sweet dose of romance I love to read about. Most of this book is told through Jessica's point of view, though we are treated to Lucius's perspective through letters to his uncle. I loved how Lucius seemed like a total jerk in Jessica's chapters, but then we get to see another side of him through his letters. He's kind of an arrogant jerk there too, but we're given a glimpse at the kind of pressure his uncle is placing on him and this gives us an explanation for his behavior. While Jessica seethes, I felt sorry for him because I understood. I wish I could have reached into the book to help explain things to Jessica when she gets confused by Lucius's mixed signals, but luckily they don't need my intervention. This is another hate-turned-love relationship. Each character sees the other in a negative light, but we the reader get to see their softer sides. The dual narration helps the reader see depth in characters who might have otherwise come across as flat or not very nice. One of the reasons I dislike insta-love is because the author rarely gives a reason WHY the characters fall in love. 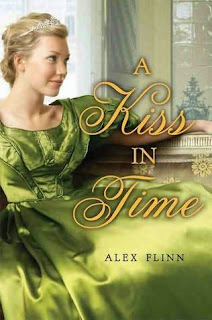 Through the alternating perspectives in A Kiss in Time, Alex Flinn shows what exactly the characters see in one another that leads them to fall in love. I appreciated the slow realization and the cumulative observations of goodness in one another. What are some of your favorite books with alternating POV narration? Have you read any of these books? Feel free to add links to your reviews! I haven't read Flipped but I've read most of the others (I actually didn't finish A Kiss in Time, for some reason I really wasn't feeling it). As You Wish is a great example of how the dual perspective can work really well to show how both characters are falling for each other (Jinn and Viola were very cute together!) 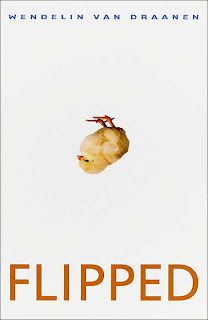 Another that comes to mind for me is Sleepless by Cyn Balog. And I'm sure I've recommended this one to you before (probably more than once, LOL), can't remember if you've already read it but Sorcery & Cecelia kind of fits in here since it has alternating narrators (though not the girl/guy romantic dynamic of the other books you mentioned). It's written entirely through letters and is absolutely amazing - one of the books that I can count on as a comfort read. I really can't rave enough about it, LOL. Ooh, I love alternating perspectives! For both of the reasons that you mentioned. Flipped has been on my TBR forever! Must read soon. 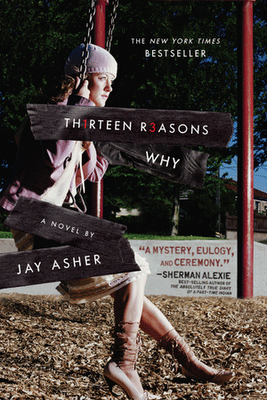 I loved Thirteen Reasons Why, and I got so frustrated reading about the tapes as well. Have you heard the audio of the book and listened to the tapes there? Oh my gosh it's so creepy. You can go on the author's website and listen to it there too. I read Flipped when I was younger and that was a cute story. 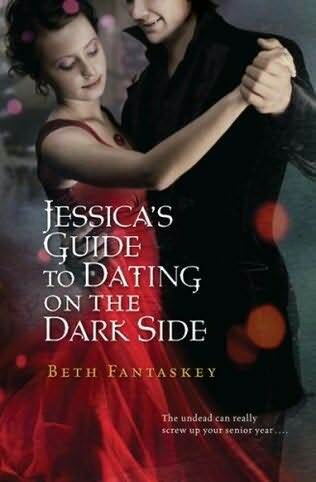 I've heard Jessica's Guide to Dating on the Dark Side is pretty good too, although I haven't read it yet. Oh, one book that I think you would like is Unwind by Neal Shusterman. His alternating perspectives are done so well. Some times a random person's POV is put in for a couple of pages, but it's perfect! It adds so much to the story. Unwind is definitely a haunting, creepy read but I think you'd enjoy it. All of his other books are pretty good too. 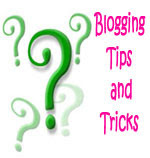 Sorry for my babbling :) Great spotlight post! I too love hate turned love stories. and I love the dual narrative, particularly when the voices are distinct and guys do sound like guys. My favorites, I think are the collaborations between Rachel Cohn and David Levithan. I think it's just an awesome narrative devise when it's done well! 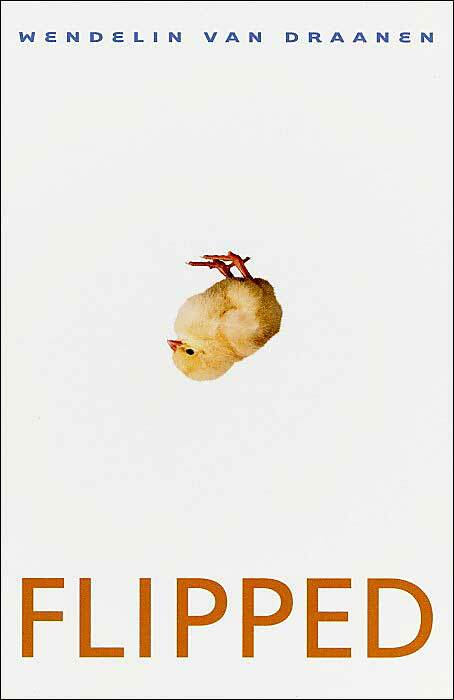 Oh, and I love the cover of flipped! I love this post! Alternating POVs are often very fun. My absolute favorite is The Perfect Chemistry series! Have you read it? Please say yes! Oh, and I just finished Forbidden and it killed me. Soooo good! I am huge fan of alternating POV's too! I love getting inside a guy's head. My favourites are Wish and 13 Reasons Why too. But I love Perfect Chemistry (like Missie), Good Oil and A Little Wanting Song. There is probably a bunch more but I can remember. If not done properly though, alternating POVs can just wreck the book. I've read all the books you listed except for Flipped (which I'm going to add to my wishlist) and especially loved Wish and Thirteen Reasons Why. One of my favourite examples of dual narrative is Perfect Chemistry by Simone Elkeles - it's been mentioned before for a reason! Alex Fuentes was a tough cookie and I loved getting inside his head! Recently I've been reading the Jenny Han summer books, and loved that we got to see Jeremiah's viewpoint in the second book. I've always found alternating POV's interesting. I've read "A Kiss in Time". 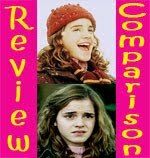 I thought it was a great story, and the different POV really helped the story. 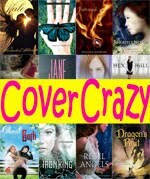 Ever by Gail Carson Levine also has alternating POV, but I wouldn't recommend it to ANYONE! I forgot to mention The Piper's Son by Melina Marchetta! Best alternating POVs ever! Great post! I've only read one of the books you have listed, (Jessica's Guide), and I did enjoy the alternating POV's. I have 13 Reasons Why on hold at the library, and I can't wait to read it! But lately many YA books are like that. My favorite are the books from Marianne Curley. Both Old Magic and The Named series. Just thought of another one - The Ghost and the Goth! That one's really cute too, as we get to see Alona and Will's perceptions of each other change as the story goes on. I'm glad I read your post at this time, because I wrote a YA fantasy that has some chapters from the love interest's POV, and I think it adds a lot of depth. The freelance editor I hired was trying to get me to cut those chapters out, and I totally disagreed. Now I'll stick to my guns. Danya, I can see that with A Kiss in Time. It’s really weird, on one hand I liked it a lot but a part of me is also kind of meh about it. I LOVED Flipped though. Both the book and the movie were so touching. I agree, I loved Jinn and Viola together! I read Sleepless (but I didn’t like it). Oh yes, we’ve spoken about Sorcery and Cecelia :) But good books always bear mentioning again and I loved it! I haven’t read the others yet, but I want to. The way the authors each wrote from the characters’ perspectives through letters was awesome. Aw, yes, I love The Ghost and the Goth! Dual narration is perfect for those two characters. Aylee, Oh please do read Flipped! I hope you like it. There’s also a movie version that was done really well. T. B., I haven’t heard the audio of 13 Reasons Why! When I get home I’m going to go check it out. Thanks! I liked Jessica’s Guide. I was surprised at how much I liked it because I wasn’t expecting much. I’m so glad you mentioned Unwind! I’ve seen it around but I never knew what to think about it. I didn’t even know it had alternating POV. Thanks! Don’t ever feel like you have to apologize for babbling, about books or otherwise :) I (queen of babbling) love it. Nic, Isn’t it fun getting into a guy’s head? Alternating POV’s are a great way to take a baby step into a guy’s head while not having to read a whole book in that mindset. I remember seeing Good Oil on your blog! I need to check that one out. I don’t think I’ve heard of A Little Wanting Song so I’ll look that one up too. Thanks! A Canadian Girl, Oh yeah, if they’re done poorly then forget it, the whole book is ruined. Or if one of the voices is annoying. Please do read Flipped! I hope you like it. There’s also a movie version that’s done really well. Leanna, Wow, I’m getting a lot of recommendations for Perfect Chemistry! I guess I should read that series, huh? :) I didn’t realize the Summer books had a guy’s POV too. Interesting! Debz, Thanks for the link! I agree, I think the two POVs made A Kiss in Time much better than it would have otherwise been. Aw, I didn’t know that about Ever! It has such a pretty cover. Christy, Oh I hope you enjoy 13 Reasons Why! Be prepared to cry though! Catherine Stine, I'm happy it helped you! Dual narration is a great technique, but, like others have said, it really needs to be done right in order to work. It can add so much depth to the characters. Best of luck to you and your book! Flipped looks too freaking cute!! Aww I remember Flipped! So cutee. I love alternating perspectives. Getting the emotions and experiences from multiple characters can make a book more interesting I think. Not every book, but some can definitely benefit. Like I just read a book about teens in rehab and you get all sorts of different views, first person and third and it made it seem more real to me. Lots of Jaclyn Moriarty's books are multiple POV, but they're also epistolary. And great. And Australian. My problem with multiple POVs is that I love the mystery of not being sure what the other characters are thinking. Of course, this also works with unreliable narrators...but that's a whole 'nother spotlight. Thanks for letting me know that there's also a movie version for Flipped. I'll watch it after reading the book since the book always tends to be better. I read and really enjoyed THIRTEEN REASONS WHY! I just entered The All Male Challenge with FORBIDDEN by Tabitha Suzuma (absolutely CHILLING) and THE THRONE OF FIRE by Rick Riordan (which I didn't like as much as THE RED PYRAMID, but still enjoyed). I do enjoy different narrator perspectives. If you've ever read the book "Help" you really enjoy it because it has 3 or 4 different perspectives. I've had "Flipped" on my TBR for a while now, it sounds so awesome. Have you read it? Rubita, I’ve only read…oh what was it called…Feeling Sorry for Celia? Or something like that. I liked it. Epistolary novels are another form of narration I really like. Unreliable narrators too! I’ve been debating doing a list on those because sometimes knowing the narrator is unreliable before you begin the book can be sort of a spoiler and I didn’t want to spoil any books. A Canadian Girl, You’re welcome. I agree, I always like reading the book first. A Backwards Story, Yay! Thirteen Reasons Why was so powerful and just good. I remember reading your review of Forbidden. It seems like a very poignant book. Hmmm- see some more books to add to my list of TBR! I just read a book with 3 alternating POV's. Believe it or not it wasn't confusing. But the characters weren't interacting much. They were doing their own thing. Look for my review of The Witches of East End by Melissa de la Cruz. I liked 13 Reasons Why and thought the alternating POV worked perfectly for that story. It was almost a relief. I really prefer it that way because I always want to know how the other character feels. I hate just guessing the motives behind their actions. Yeah, I replied to your comment about your concerns regarding FORBIDDEN as well. I just don't have a fancy email system like you (but I always do reply! lol) Only read it when you're in the mood for something more serious. But it IS handled well...and SO GOOD! Heather, Wow, three are a lot, but I can believe it would work in the hands of a good author. Sometimes I don’t mind guessing, but I do love knowing the inner thoughts of the characters. A Backwards Story, Thanks! Haha, more like a silly email system, but it gets the job done :P Thanks for the feedback about Forbidden.